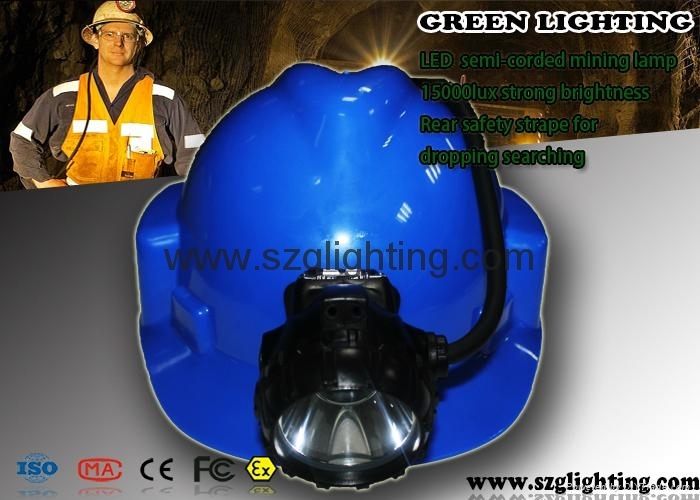 GS12-A NEW Design Semi-corded miner cap lamp! 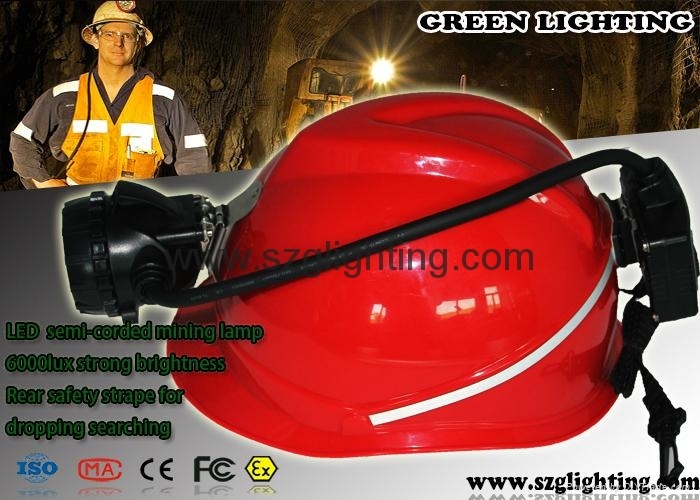 GS12-A Semi-corded miner cap lamp is one of our newest design! 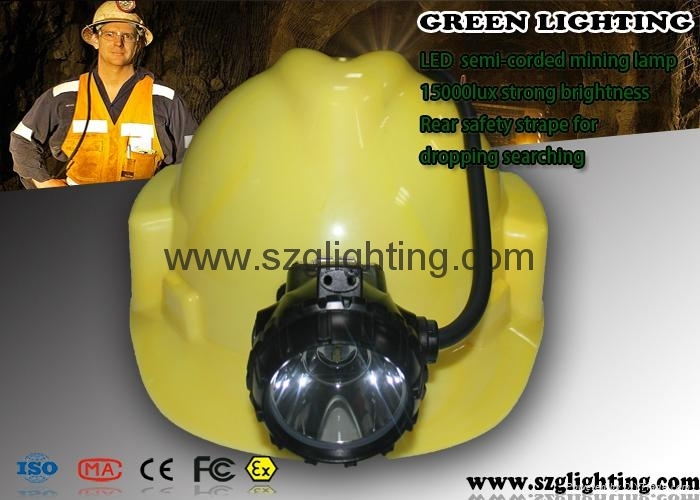 GS12-A uses 1pc Cree led as main light,2pcs SMD leds as the auxiliary lights,and designed with high capacity 6.8Ah rechargeable Li-ion battery. It has three levels power as High-15000lux, Mid-10000lux , Flashlight ! 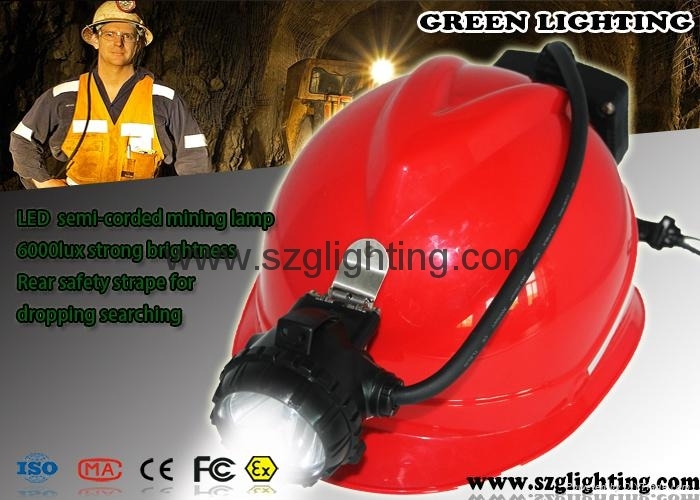 GS12-A design with Rear warning light,When the light is on,the Rear warning light will light up at the same time.This function can make your worker more safe.It also can as charger indicator when charging. It uses 30cm cable to connect headlamp and battery housing!Length of the cable can customize. 2.This lamp has three charging modes.USB charger (USB cable),cradle charger (battery part) or cradle charger (lamp head part).Any of them are avaliable. 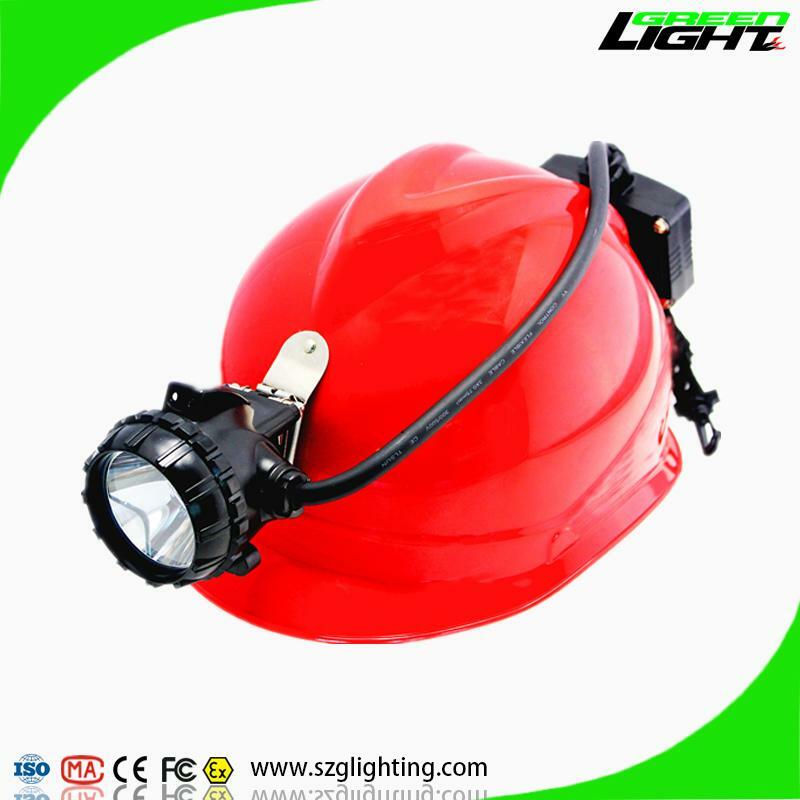 3.When the light is on,the Rear warning light will light up at the same time.This function can make your worker more safe.It also can as chager indicator when charging. 4.The color of warning light can customize.RGB is avaliable. 6.All our lamps have one year warranty.We will keep free maintenance for you one year. packing by colorful box of unit lamp with single charger, 20pcs/carton, 11.4kg/carton.